Paper Air freshener. Oval Shape. 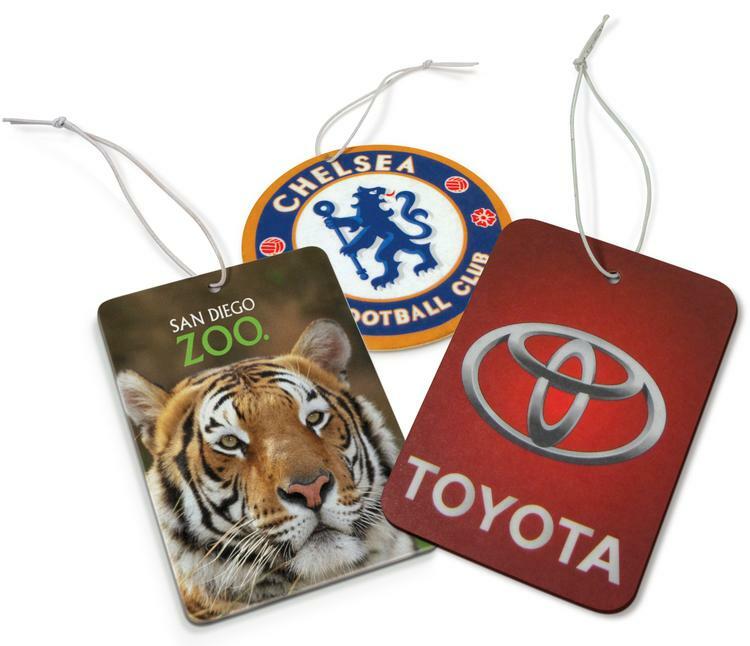 Low Cost per Impression Car deodorizer puts your message in brilliant color on their rearview mirror where people will see it an average 2.5 hours each day! Also, works great in gym lockers, sports bags or wherever there is an unpleasant odor. Lasts 30 days. Choose Fresh Air, Citrus, Vanilla, or Fruit Basket fragrances. Four color process printing. Packaged in a traditional air freshener bag. 3 weeks production time after approval. 2 7/8" x 3 3/4". 3 3/4" x 2 7/8"